“PJ’s bodywork person noted how when she was massaging him, he noticeably relaxed when I put on his Shields. 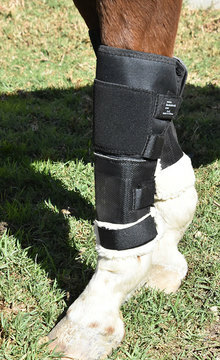 She believes he equates them with comfort, which makes a lot of sense to me,” owner Susan B. told Shari Click of Click Horse Products, makers of The Hock Shield®, The Fetlock Shield and new for 2019, The Knee Shield. Shari says the horses that tested The Knee Shield no longer have open sores on their knees. Susan was using Fetlock Shields on her Thoroughbred/Warmblood gelding, PJ, when she agreed last summer to try the new Knee Shields. “PJ has a lot of stiffness and arthritis in his lower back, which causes him to struggle to get up and has resulted in chronic knee and fetlock sores.” At almost 17 hands and with long cannon bones, PJ’s Knee Shields seemed to work best in conjunction with Fetlock Shields for full coverage. It’s exactly the kind of happy ending Shari Click was looking for when she began working on solutions to the frustrating horse care problems of joint protection. Bottom line? 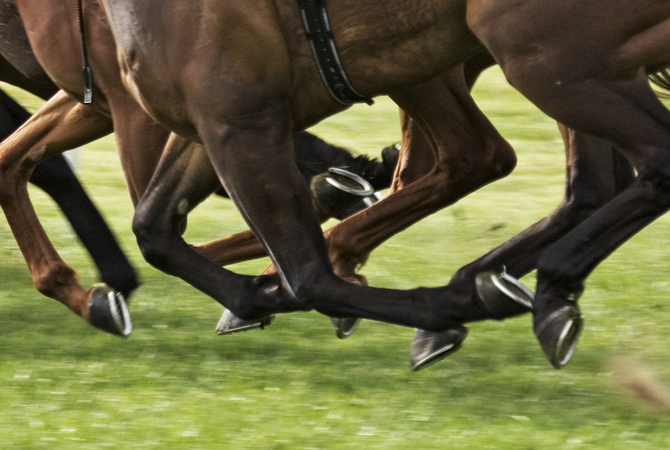 Shari says the horses that tested The Knee Shield no longer have open sores on their knees. The Knee Shield is officially in production and available for purchase on www.hockshield.com. 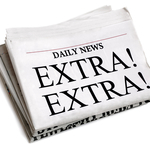 This news article is a press release received by the organization or person noted above. Press releases from recognized horse health companies and individuals are frequently posted on EquiMed as a service to our visitors. Please contact the author of the press release directly for additional information.